We have created a social networking community for golfers in the Naples, FL area. If you are passionate about golf or are a member of one of our local golf club. 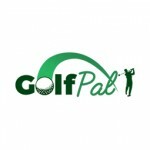 You can use this site to communicate with others golfers in your country club, schedule and attend events, or discuss golfing topics on our forums. This is a terrific site to communicate with the many golfers in Naples.